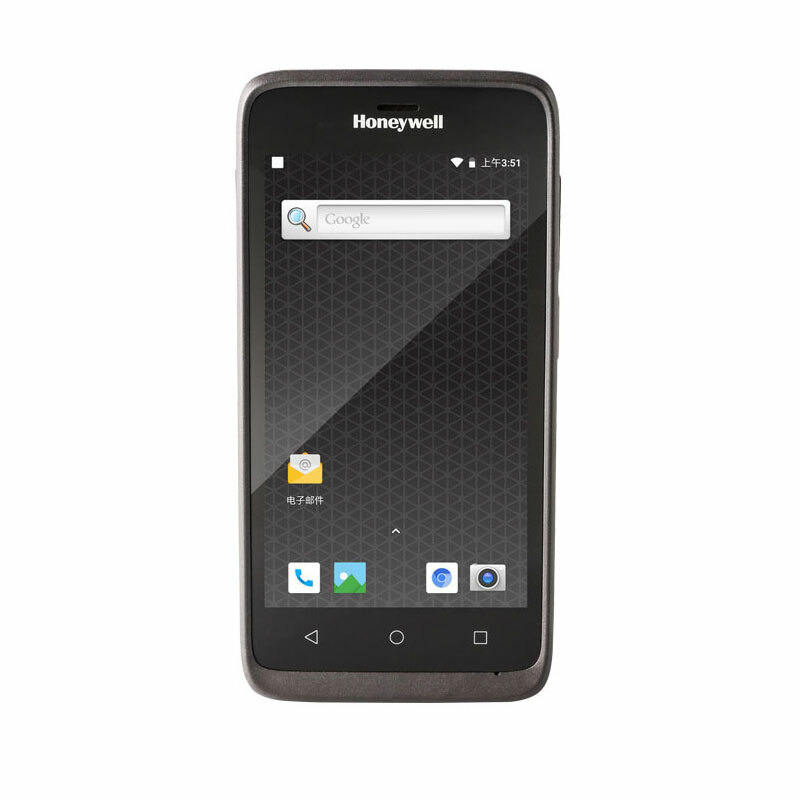 Experience the new Honeywell ScanPal EDA51, a smart and powerful handheld computer especially designed for small and medium sized businesses. This compact tool was created to increase productivity in delivery and retail environments as well as in field service or wherever processing power is required that fits in a pocket. The ScanPal EDA51 by Honeywell is ready for everyday use with its extremely robust design and is equipped with a strong battery that lasts longer than a shift. Additionally, it comes at a favorable price. The Honeywell ScanPal EDA51 data terminal, with its slim design and light weight, is the ideal solution for more efficient working procedures. The 1.8 GHz Qualcomm Snapdragon SDM450 octa-core CPU, with 2 GB RAM and 16 GB Flash, ensures fast and reliable data processing as well as smooth operation of useful business apps. Memory can be extended by up to 128 GB via SDHC card. The ScanPal EDA51 is equipped with the Android 8 Oreo operating system, upgradeable to Android Q. Accessories and equipment are backward compatible with the ScanPal EDA50 version. The ScanPal EDA51 by Honeywell is a long-term investment, providing many features that support workers in accomplishing their day-to-day tasks. Equipped with a barcode scanner, this sleek mobile computer is a versatile tool, reading 1D or 2D barcodes in any condition. The ScanPal EDA51 also comes with a 13-megapixel autofocus camera. Convenient use of the compact PDA is ensured, as the Honeywell ScanPal EDA51 offers a 5-inch multi-touch display. It provides 802.11 a/b/g/n/ac WiFi, Bluetooth 4.2, WWAN, NFC and GPS for reliable wireless connection. It is also equipped with a powerful, user-replaceable battery lasting for up to 12 hours. The Honeywell ScanPal EDA51 can handle busy working days due to its robust construction. The sturdy mobile terminal survives multiple drops from a height of 1.2 m to concrete. It is sealed against the ingress of dust and water in compliance with protection class IP64. The device can be operated within a temperature range from -10 °C to +50 °C. Optimized customer service as well as internal working procedures by means of reliable and fast data communication, data capturing tools and dependable data processing. The new ScanPal EDA51 data terminal by Honeywell is an excellent solution for small and medium-sized enterprises.